The colour of these cards are a little outside my comfort zone! 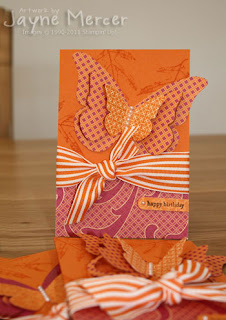 Whilst I was on my crafting weekend I had taken with me all my left over Designer Series Papers. 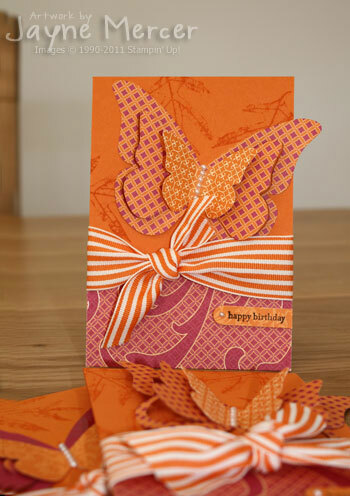 So I grabbed some of the Sweet & Sour Speciality papers and the matching cardstock and created these cards. The double butterfly technique was shown to us at Convention by fellow demonstrator Kirsty Brown. I love the effect it gives.